When drinking the juice of 4 oranges in a short time, your glucose levels rise up immediately and then suddenly drop down making you“crash,” which contributes to chronic fatigue and the desire for another boost. 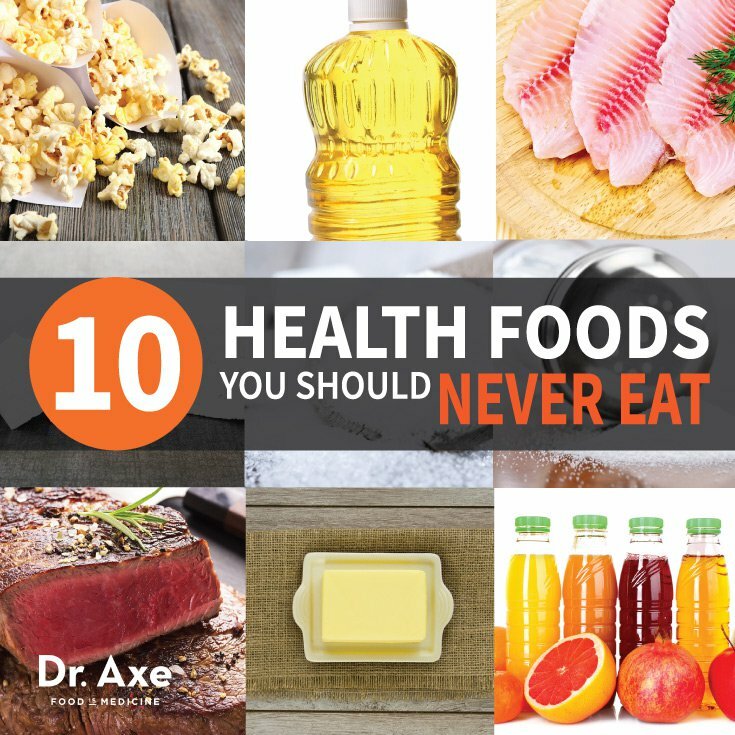 Other health foods you should never eat are farmed fish. I’ve written extensively on farmed fish and (in my opinion) eating tilapia is worse than eating bacon! Even salmon, touted for being the health fish of choice is virtually poison to consume if farmed. A study in 1997 showed that margarine, with its high transfat content appeared to increase the incidence of coronary heart disease. ( 9) Saturated fats however have been found to increase good cholesterol and lower the bad. It just doesn’t add up! Vitamin K2 helps reduce the risk of cardiovascular diseases, cancer and osteoporosis). ( 10, 11, 12) Butter also changes the structure of short chain LDL fatty acids (which are linked to heart disease) into more benign longer chain fatty acids. Being “artificial,” you’d think fake sweeteners would be used cautiously by people. Unfortunately, many doctors recommend them because they are supposedly safe for diabetics because they are low on the glycemic index (16).